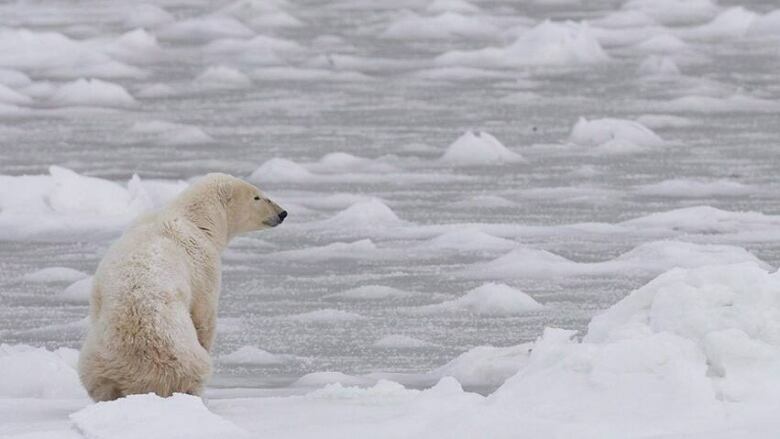 Quebec, Ontario and Nunavut are gearing up for three days of hearings about the future of the southern Hudson Bay polar bear population. Meetings scheduled for Feb. 12 in Inukjuaq, Que. could produce the first total allowable harvest for polar bears in Nunavik. Right now, there is a voluntary quota in place of 60 bears from the southern Hudson Bay polar bear population, which is shared by Quebec, Ontario and Sanikiluaq. DrikusGissing says Nunavut's polar bear stock is in good health. The head of wildlife management for Nunavut says the population has been stable for close to 30 years — about as long as the territory has had a managed hunt. “I think we have a very good management system and we hope it’s a model for any other jurisdiction harvesting polar bears,” Gissing says. Next month, Nunavut will send delegates to hearings on the southern Hudson Bay polar bear population in Inukjuak, starting Feb. 12. That population is shared by Quebec, Ontario and Nunavut. Inuit from Nunavik and Cree from Quebec and Ontario hunt bears from that group. Sanikiluaq is the only Nunavut community to hunt from the population. Gissing says the territory will recommend maintaining a quota for Sanikiluaq of 25 bears a year. That's still too much for environmental groups pushing to list polar bears as an endangered species. That would take decision-making on polar bear hunting out of Nunavut's hands. This week, the American Museum of Natural History published evidence that polar bears' diets are changing. It says they're scrambling to find new food sources as winter shortens. Drikus Gissing says the territory will take action, if there is evidence that climate change is harming the polar bear stock. “Nunavut spends almost $1 million a year on polar bear research,” he says, and in the last several years, every single population inventory has shown a stable population, with the harvest. “I think a lot of people miss that point when they think the population is declining,” Gissing says. There is a voluntary quota of 60 bears from the southern Hudson Bay polar bear population. That was implemented in the fall of 2011, after concerns were raised about a dramatic increase in the harvest from Quebec. If a total allowable harvest is established for the southern Hudson Bay bears, it would be a first for Nunavik. The meetings scheduled for next month were twice delayed in order to wait for more survey information on bear numbers. The Nunavik Marine Wildlife Board is hosting the meetings. An earlier version of this story included comments by Douglas Clark. His comments were unrelated to this story.